The Coaches’ Guide to Mind Mapping, an interactive coaching learning resource specifically designed to support the learning process of coaches, is a tool that will help you become an expert coach. 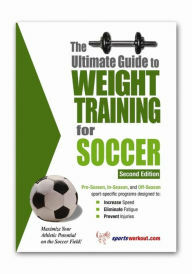 This book draws on soccer for examples, but it explains a technique that can be universally applied within any sport. The demands of modern-day coaching require coaches to know and deliver a greater deal of knowledge to players, the mind mapping technique aims to support the coaching process by helping you to identify and develop your ability to recall technical and tactical knowledge from memory. The Real Giants of Soccer Coaching is a collection of the curated thoughts of nearly 30 top soccer coaches around the globe. In this book, you will gain access to the depth and breadth of experience from some of the best coaches across all areas of the beautiful game. n The Soccer Coach’s Blueprint, it’s all about a strength and more. To build a strong team, you must start with a strong foundation. But where to go from there? Every coach needs a blueprint she or he can follow to form a structurally sound coaching philosophy. The Soccer Coach’s Blueprint has the plan all coaches need. The Soccer Games and Drills Compendium is a comprehensive compilation of 350 realistic drills and games that facilitate high-quality design and quick implementation of modern soccer training. There are many drills in this book which are divided into technical, tactical, and fitness-based focus areas. Individual focus areas cover basic training content such as passing, dribbling, shots on goal, feints, juggling, and 1-on-1 situations. They are followed by focus areas with differentiated and advanced content. This content includes transitioning and reacting, chaos and action, game start variations, active defense, tournaments, and topics on tactical training. In addition to all of this, The Soccer Game and Drills Compendium includes exercises for soccer-specific speed training, athletic and endurance training, indoor training, goalkeeper training, and team building. The Well-Rounded Soccer Coach is a unique book about coaching soccer. The author, Ashu Saxena, shares the wisdom to coaching that he has learned through the years. In this book he offers successful secrets for long-term player development, which is a current hot topic in the soccer world. The Well-Rounded Soccer Coach is a special resource that combines credibility, the experiences of a coach who has coached U9-U19 age groups (competitive club and high school teams), and comprehensive coverage of coaching soccer. Unforgettable Soccer is a fun book about soccer. Rather than putting the magnifying glass on great champions and memorable matches, it instead examines the more obscure tales from soccer, rescuing incredible feats and masterful mistakes from oblivion—incredible feats such as the soccer player who scored all four goals in a game that ended 2-2. Or crazy stories about a Danish referee who stopped a match to look for the dentures he had lost. The reader will even find a story about a defender who was reprimanded even though he was already dead!